This year is a leap year in the Hebrew calendar…not an extra day but an extra month of Adar allowing for two occasions to celebrate Purim. 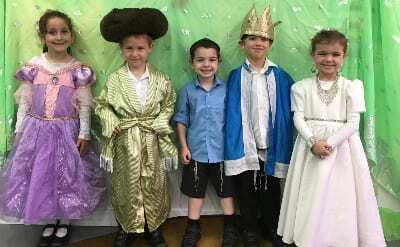 Traditionally, Purim is highlighted in the second month of Adar…but the children at Sydney’s Yeshiva College have also celebrated the “Little Purim”..Purim Katan. Next month, the children will celebrate Purim again.